Free Shipping Sales Tax: 7% Washington State Sales Tax will be collected at checkout for Washington residents. Returned Item: If an item is returned due to incorrect address, the buyer will be notified by seller. When buyer sends the correct mailing address, seller will refund the cost of the item. 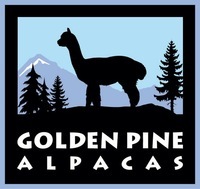 The item will be placed back in the Golden Pine Alpacas Store with a "Reserved for [name]" and the buyer will be notified that he/she can repurchase the item. We are very proud of the quality or our products. However, should you need to return an item, please notify us by email and return the product in unused condition within 10 days and your purchase price will be refunded. We cannot refund the return shipping price.